There was a time not that long ago that most of the photographers that I know wouldn’t have dreamt of using PC for their photography needs. Microsoft’s Surface lineup is deep with pretty incredible products, and photographers have taken notice. The beauty of the Surface is that there’s one for just about any kind of photographer with any kind of budget. So the question is, what Microsoft Surface product is the best fit for you? A great entry-level machine, the new Microsoft Surface Pro is priced right (starting at under $800) for photographers that are on a tight budget. The new Surface Pro is convertible, meaning you can use it as a laptop or a tablet to suit your needs. 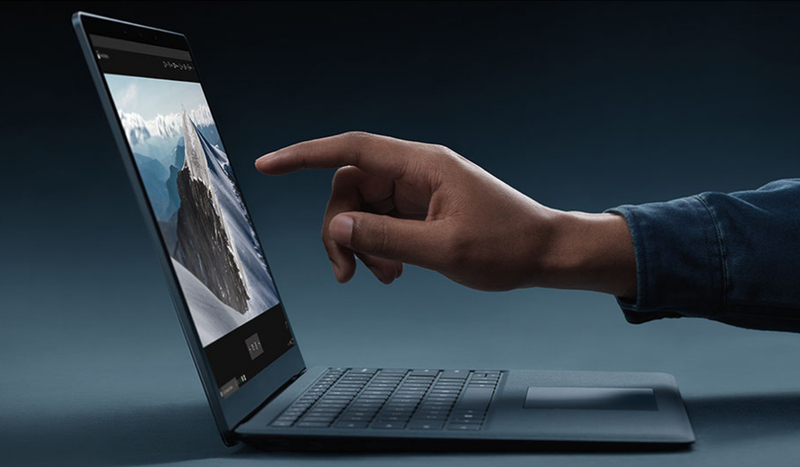 It’s also got something called “studio mode” in which you can lower the kickstand to nearly horizontal, giving you a nearly flat surface that’s ergonomically sound for doing things like editing your photos with the Surface Pen or Surface Dial. The Surface Pro also has some upgrades over previous models that make it well worth a look. That includes a battery that boasts 50 percent more juice than the Surface Pro 4, so you can take your Surface Pro on day long photo shoots without worrying if it’ll have enough battery power to last. The display isn’t bad either: a 12.3-inch PixelSense display that lets you inspect your photos in incredible color and detail. It’s also touch-sensitive, and as noted above, is compatible with the Surface Pen for even greater creative possibilities. In other words, if you’re looking for an inexpensive machine to handle the tasks of being a photographer – whether that’s editing photos or sending invoices to clients – the new Surface Pro has more than enough power and features to fit the bill. If you’re looking for a more traditional computing experience, the Surface Laptop might be the ideal choice for you. Unlike the new Surface Pro discussed above, the Surface Laptop is just that – a laptop. It weighs only 2.76 pounds, so it’s much more portable than many laptops in this price range (which, at the time of writing, starts at under $1,000). What’s more, it has an incredible battery that lasts up to 14.5 hours, so even on the longest of photo shoots, you don’t have to be concerned about your laptop running out of gas. The Surface Laptop has the same PixelSense Display from the Surface Pro – only it’s bigger. At 13.5-inches, you get even more gorgeous real estate to check out your images and edit them as you please. With touchscreen capabilities, you can make pinpoint edits to your photos, or just use it to make quick work of day-to-day tasks like checking appointments in your calendar or whipping through your online portfolio to see how your photos look. 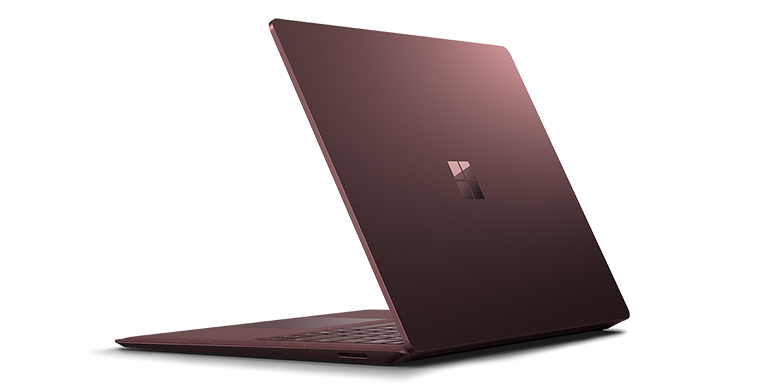 The Surface Laptop comes with Windows 10 S, a lightweight, streamlined, and highly secure environment in which you can tackle all your business tasks, and more. That makes the Surface Laptop a great choice for business-minded photographers that want a touchscreen for easy photo editing too.